Note: This post originally appeared on JOLTco.ca. It has been reposted here with permission from the author. I was fortunate to begin my career in technology at the once-dominant software company, Lotus Development (before it was acquired by IBM). I chose to enter the tech industry because it was such a driving force of innovation and it also complemented my love for math and science. Lotus isn’t a brand that everyone will still recognize; however, it was the kind of company whose values inspired and celebrated diversity—across a number of dimensions, including gender. Core to its mission was its desire to make the company one of the most progressive and inclusive employers in the industry. And, in my mind, it succeeded. But as a young woman beginning my career, I (naively) believed that Lotus’ attitudes towards diversity had seeped into the outside world and would therefore allow me to maneuver across the entire tech sector with ease. Fast-forward 20 years later… and gender imbalance is now one of the most well-documented—but still controversial—phenomenon in the tech industry today. More than two years ago Kerri Golden and I officially co-founded and launched JOLT, an accelerator for high-growth web and mobile companies. Despite the scores of accelerators and availability of seed funds in the market at the time, few were women-led. The number of female investors was minute, and number of female founders and entrepreneurs even smaller—which created challenges, firsthand. We quickly had to figure out a way rise above the dynamics of this acutely male-dominated industry and focus on building a successful portfolio. To date, 17 companies have graduated from JOLT and achieved many formidable milestones. And, in the past 12 months, we’ve seen a gradual (yet subtle) increase in companies led by women. 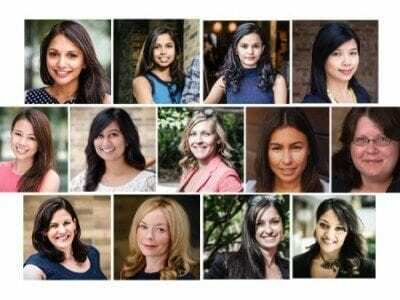 In our current cohort, we have invested in four (out of six) female-founded companies—not because they are run by women, but rather, due to the fact that they are passionate, phenomenal entrepreneurs who are solving big, important problems. A sign of changing times? I think so. Female founders in the JOLT accelerator. It’s encouraging to hear the tech giants like Google and Apple acknowledging the gender divide. It’s also incredibly inspiring to see so many women speak out and take action to affect change, both at a grassroots level and global scale. Their stories and actions open the doors for the important conversations and transparency needed to fight the stereotypes and stigmas that exist in the industry today. When I look at all the amazing female founders at JOLT, they’re not allowing themselves to be defined or distracted by these challenges. Personally, I’m inspired every day by their vision, creativity, fearlessness, drive, smarts, passion, grace and eloquence. They are relentlessly climbing the hurdles and paving the way to success—right alongside their equally amazing male allies and founders. As we look to 2025 and usher in a new frontier of technology and globalization, 1 billion women will enter the workforce—as entrepreneurs, creators and/or employees—with many unfilled tech jobs creating the perfect platform to launch their careers. For the generations of young women today, and those to come, we need to create a culture that works not just for women but everyone, and in a scalable way. There’s no arguing the value or need for innovation given the scale and scope of global problems we face today. I encourage all women looking to enter the tech sector to find role models and real-life examples of women succeeding. Not just in tech but outside the box as well. They’re out there (with some of the many in JOLT), and I look to their achievements and stories everyday for inspiration and motivation. There’s still much work to be done. In the meantime: keep trailblazing, ladies! And to all the amazing men championing diversity in the tech sector: please don’t stop. Women in Canadian venture capital: Where are they?